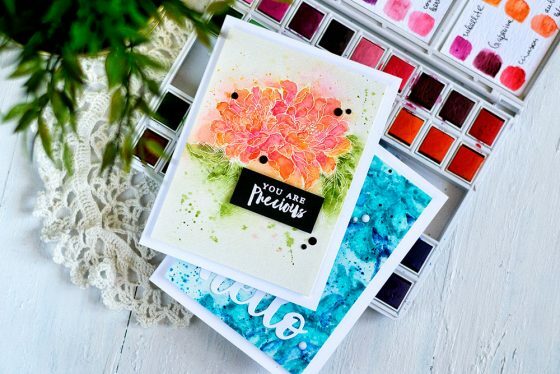 Today I’m joining Altenew blog hop celebrating the release of a new product – Watercolor Brush Markers. I especially like these markers to make backgrounds. I have two cards made using the same background along with a video. 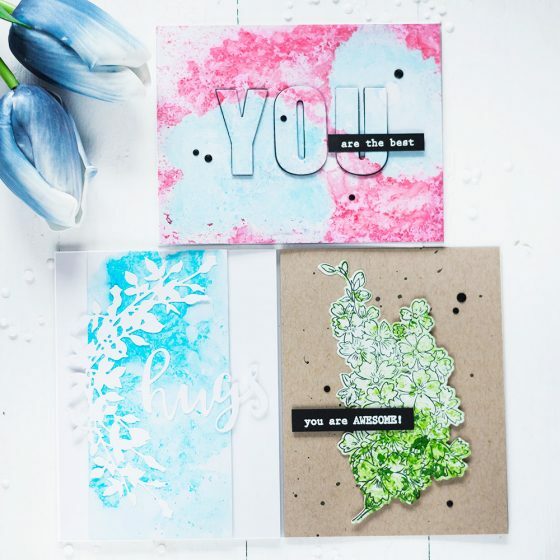 Today I’m excited to join Altenew today in the blog hop celebrating the release of Artist Markers Refills. I’m sharing video tutorial on very fun technique of water marbling and showing several examples how it can be used. 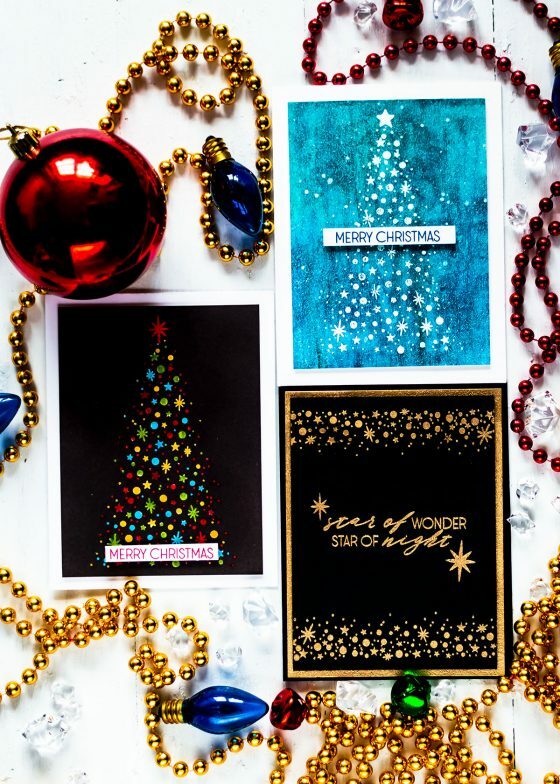 Altenew released a lot of new amazing holiday products this month. 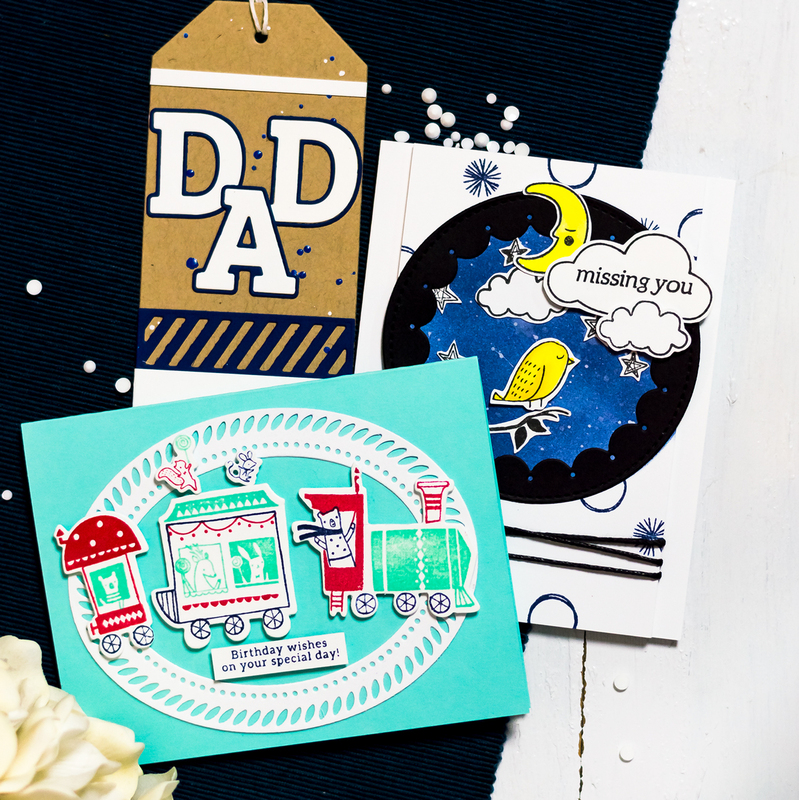 Today, I will be sharing three cards featuring the newly released Starry Night Stamp Set. Joining Altenew today in Build-A-Flower: Anemone Coronaria Blog Hop. Another very beautiful floral set. 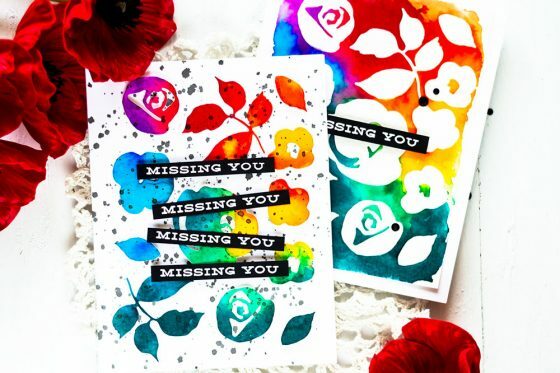 I made a soft watercolor card using the new set. 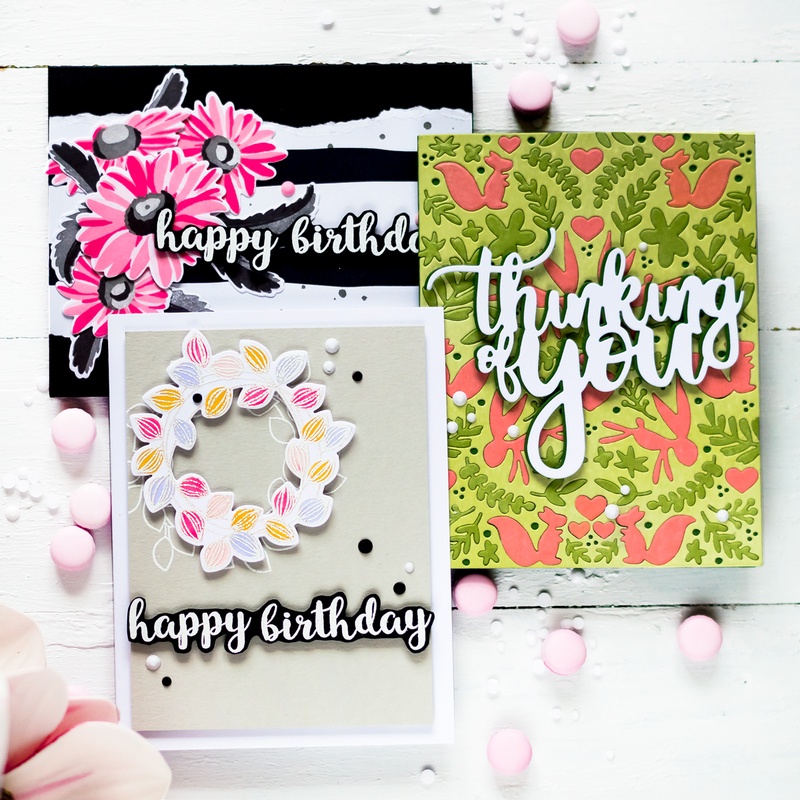 Joining Altenew blog hop today in celebration of the August Release. 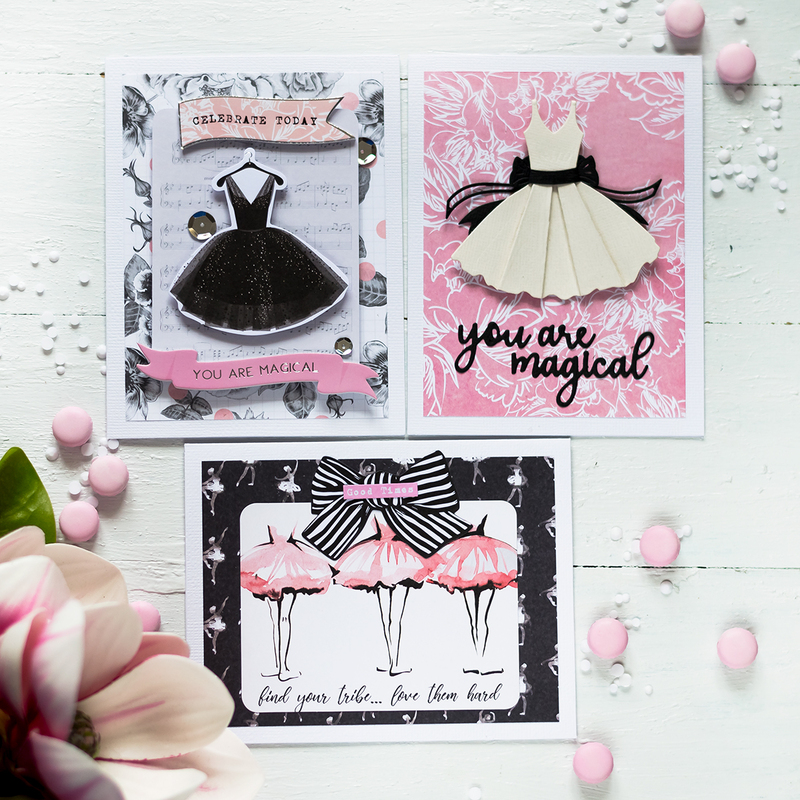 Sharing four cards made with the new products. I’m joining Altenew today in celebration of the Watercolor Pan Set and coordinating products release. 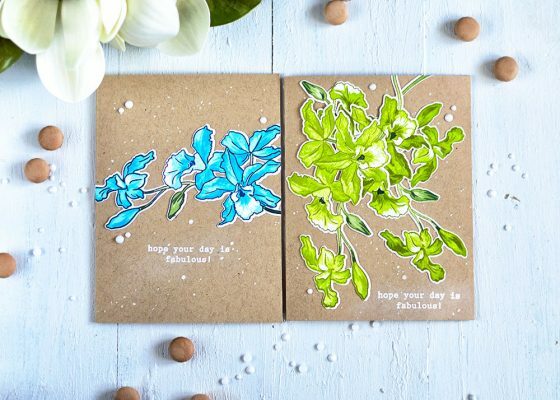 Sharing two cards made using new yummy watercolors. Joining Altenew today in celebration of a new Build-A-Flower product. This month it’s very beautiful Cattleya. 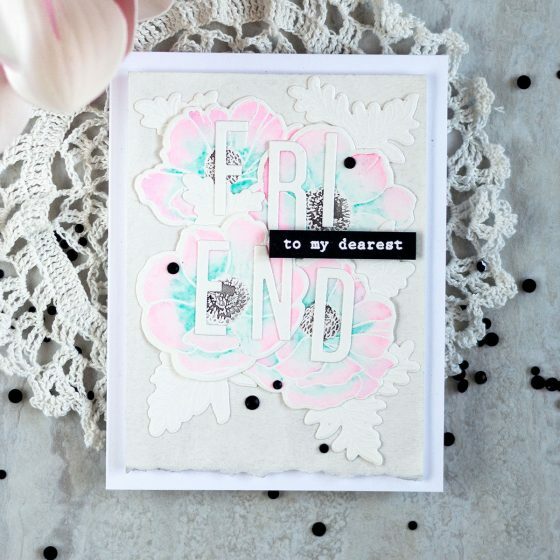 I made two simple cards in neutral tones with some pop of color using this beautiful flower. 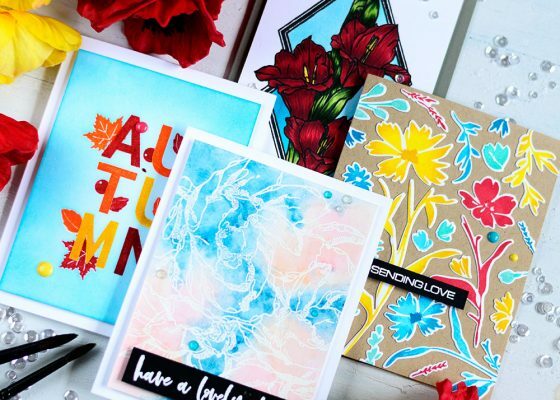 Do you like stamping? Or maybe you like more coloring? How about combining both? 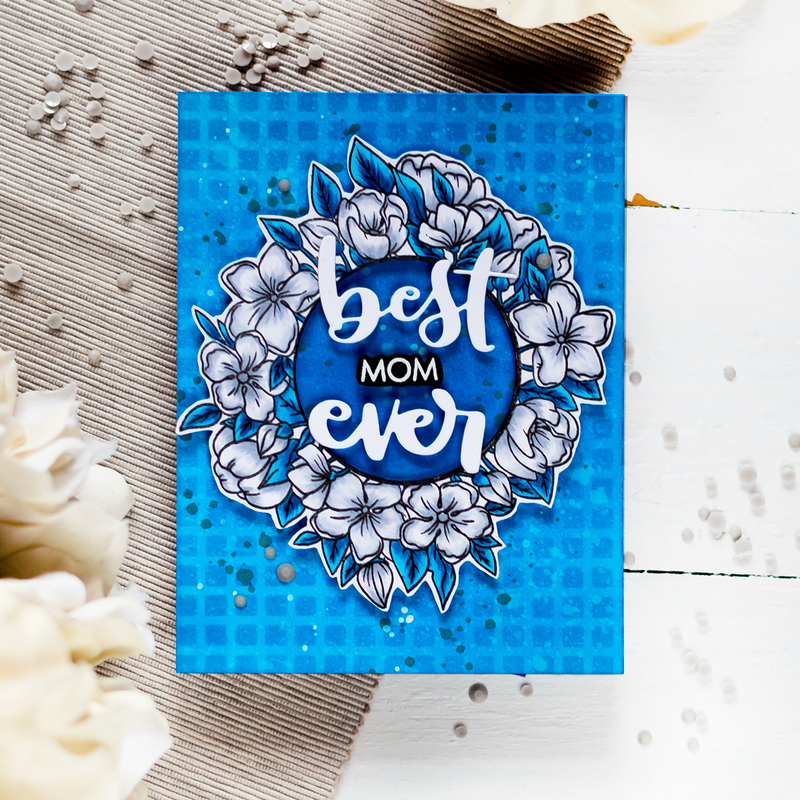 Today I want to share a fun technique of coloring over stamped images. 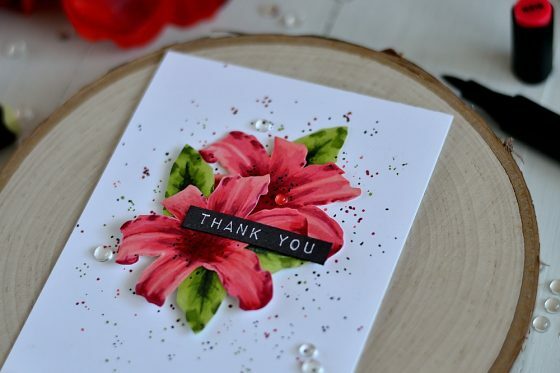 This card is part of Altenew participation in 30 Days Coloring Challenge Blog Hop.